The recent string of corporate accounting scandals has not only drawn headlines, but has led to more stringent federal regulations aimed at improving corporate governance. The Bureau of Labor Statistics reports that these new requirements are a big driver of growth in the field of accounting. In Addition, as stakeholders take a more active interest in a company's reporting and governance practices, accounting managers have a potentially greater and more visible role to play in ensuring the long-term sustainability of a company. An campus-based or online MBA degree in Accounting will provide you with the analytical and theoretical tools required of accounting managers to meet these new challenges not only in the private sector, but also in government and nonprofit entities. 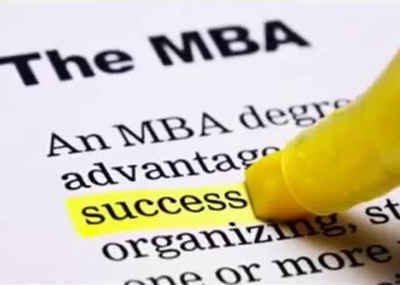 Coursework for an campus-based or online MBA degree in Accounting is likely to focus on general business theories and applications related to financial accounting, economics, managerial accounting, and statistics methods. Additionally, you could benefit from in-depth courses available on topics such as legal aspects of business, accounting for government and nonprofit entities, auditing, and database management. Career opportunities for accounting professionals are often found in commercial banking institutions, financial services firms, public accounting firms, the corporate finance division of businesses, and government entities. Those with an MBA in Accounting may work as an audit manager, tax manager, manager of financial planning and analysis or controller for a company. Others pursue opportunities with the federal government, perhaps assuming senior-level positions in the Department of Defense, the General Accounting Office or the Internal Revenue Service. As a senior tax consultant for a public accounting firm, you may find yourself working for clients on various tax issues. As a working company accountant you might engage in financial forecasting, operational assessments, and important analysis affecting financial decisions of the company. Whichever course you decide to pursue, an campus-based or online MBA degree in Accounting will prepare you for a career at a higher level of visibility that will afford opportunities for weighing-in on important financial decisions.